Move around the world with your parachute, bean bags, and rhythm sticks. 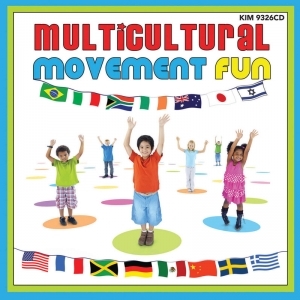 Dance and play to the sounds of multicultural music and guided action songs. This new CD offers so much! 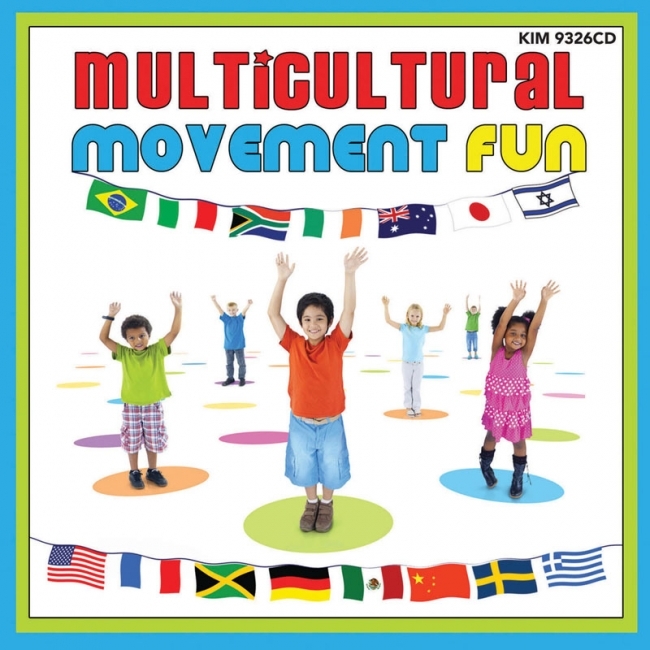 Children are given the opportunity to "visit" 16 different places in the world, and to move to the unique rhythms and beats that will make this such a rich recording. The guide includes suggestions for additional learning opportunities that are connected to the songs. 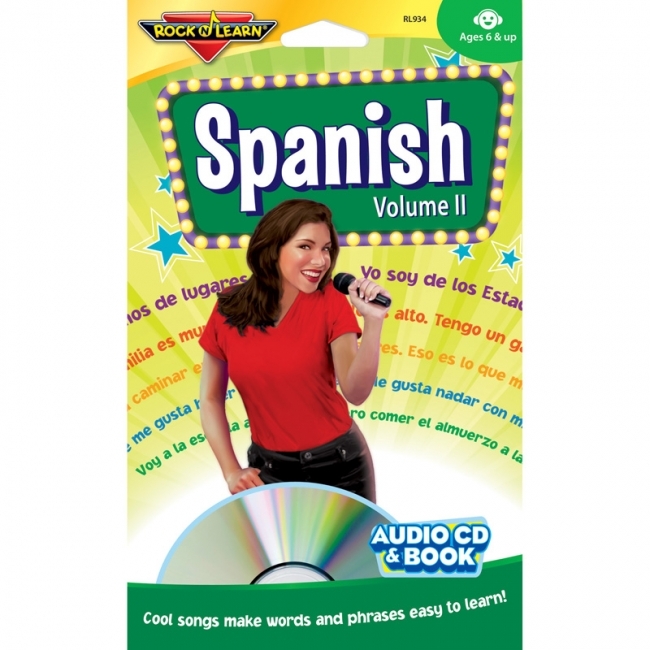 The Children's Classic Theme Bilingual Collection features songs in Spanish, and includes English translations where translations work and equivalent songs where translations do not work. Every song is singable, clever and catchy! This CD is a must for every bilingual classroom as well as any classroom where native English speaking children are learning to speak Spanish. 11. Que va siempre junto? 18. Al suelo y a rodar! 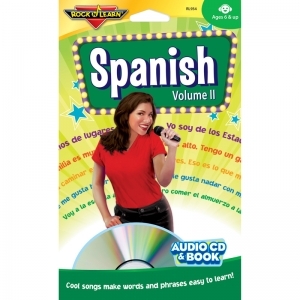 Volume I includes fun songs to help students learn greetings, counting, colors, meal time phrases, parts of the body, and survival phrases to use at school. Approx. 55 min. 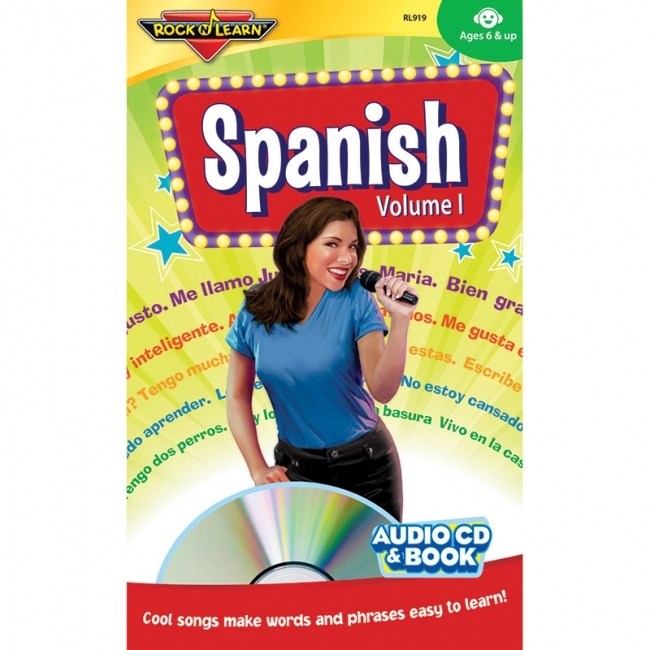 Rock 'N Learn Spanish Volume II audio CD provides easy instruction on how to speak Spanish by using fun songs. On Part A, students listen to words or phrases in English and then hear them in Spanish. On Part B, students hear the Spanish phrases followed by English to help check their understanding of Spanish. Part B also works well with Spanish-speaking students learning to speak English. For ages 6 & up.